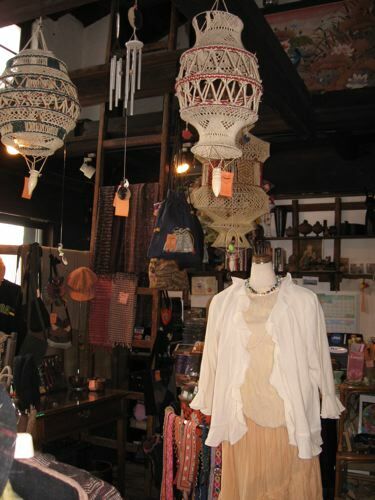 Posted on June 22, 2007 by Alicia Bay Laurel	in Blog and tagged travel diaries. 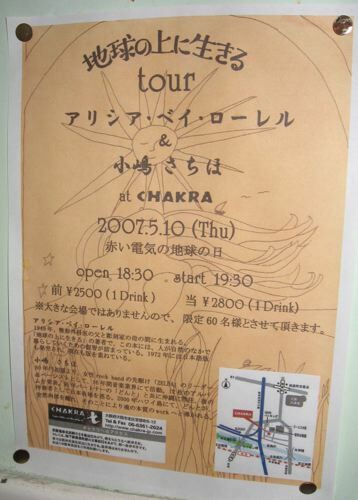 Handmade sign above the entrance to Chakra, an import, craft and clothing store with cafe and performance space in back, in Osaka, Japan, where Sachiho and I performed the final show of our tour together, on May 10, 2007. 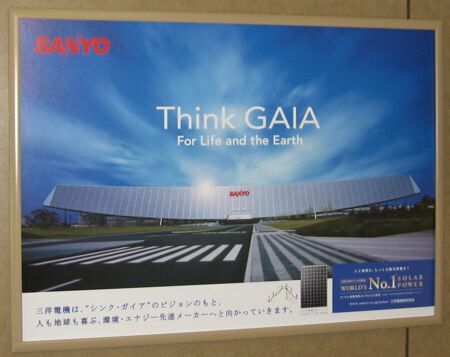 On the shinkansen (bullet train) from Yamaguchi to Osaka, I spotted this ad, reminding me that the largest number of solar panel manufacturers, as well as the largest manufacturer of solar panels, Sanyo, are in Japan. 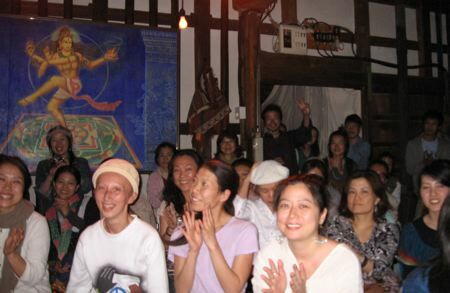 As soon as we reached Osaka’s main train station, Sachiho and I took a cab to Chakra, where we would perform that night. 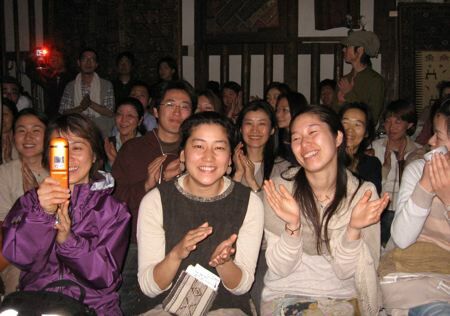 I got out there, and Sachiho hurried off to lead a meditation workshop elsewhere in Osaka. 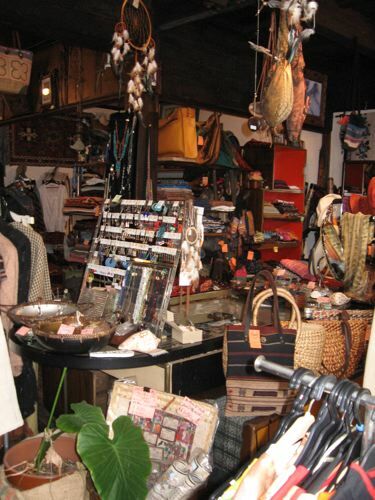 The store is an oasis of calm and beauty on a small back street in a densely urban part of the city. 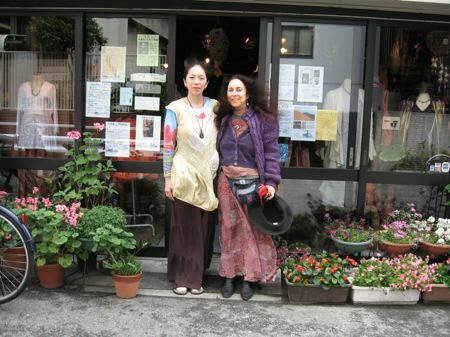 Atchan, one of the owners of the store, came out to greet me. 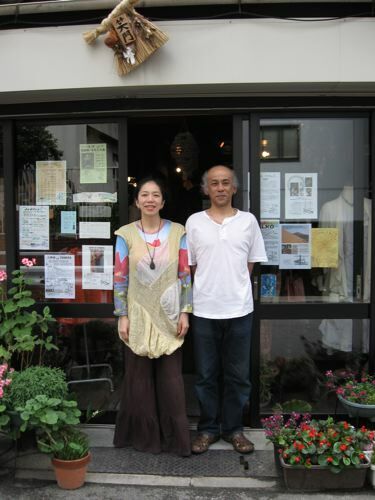 Her husband and co-owner, Tatchan, joined us. I’m not sure what their formal names are; “chan” is a suffix implying endearment usually following the first syllable of a person’s given name. “San” is a suffix implying respect, and usually follows the person’s entire first or last name. (Only, in Japan, you say the family name first.) Anyway, I can see why everyone calls them Atchan and Tatchan. They are adorable. The poster for the event features the cover of Living on the Earth! 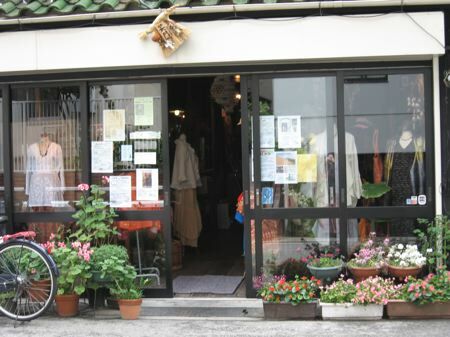 Tatchan told me that all sixty seats were sold out several days ago. 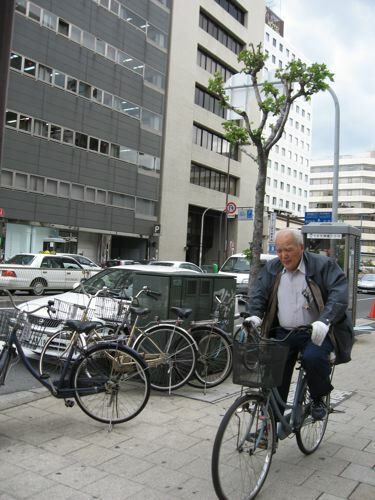 I saw bike riders of all ages. 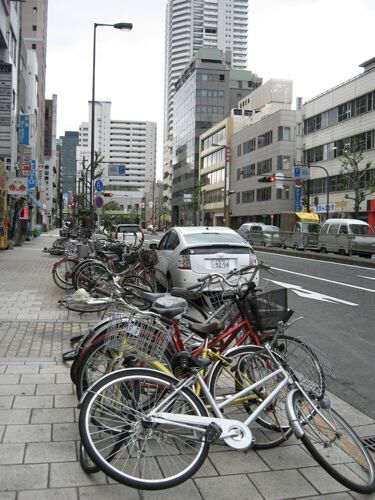 Since people don’t steal in Japan, you can ride your bike (or lighweight motorcycle) to the nearest bus stop or train station, leave it there, go where you are going by public transportation, come back and bike home. Green all the way! 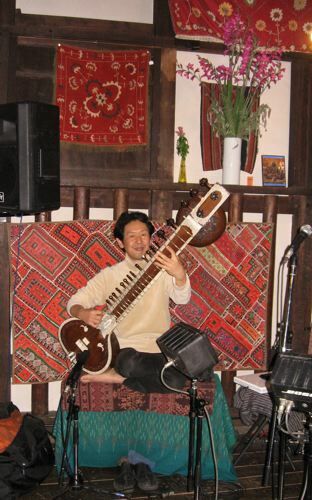 To my delight and astonishment, Minehiko Tanaka, an excellent sitar player, joined us for our performance that evening. 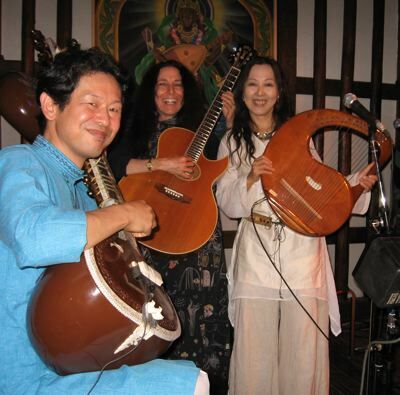 He accompanied Sachiho while she chanted sacred songs with her lyre. I had always dreamed that someday I would be able to play my song Vai Raga with a sitar player, and that night was my night. 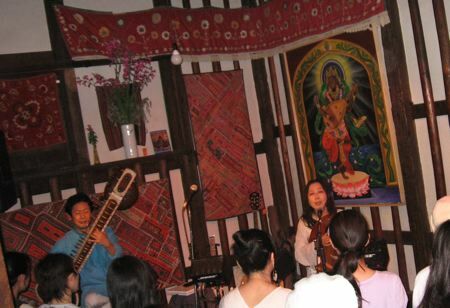 I did a set by myself (with a volunteer translator from the audience), followed by three songs with Sachiho and Minehiko, including Vai Raga (from Music From Living on the Earth, my first CD). I think they liked us. 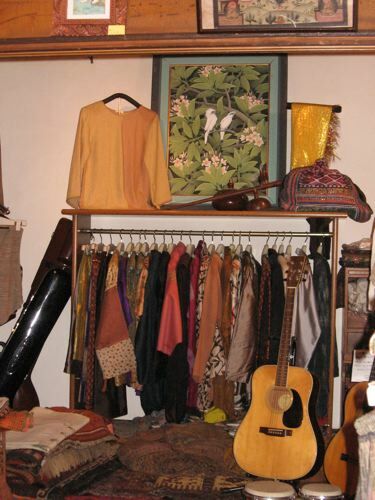 In fact, I think they liked us a lot. I sold out all of the books I’d ordered, again, and almost all of the CDs. 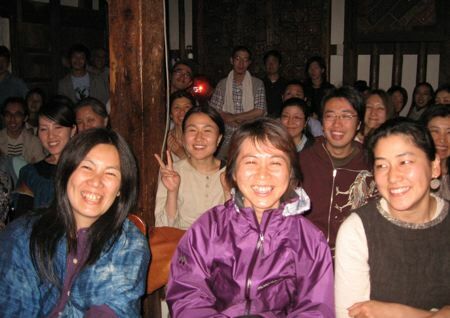 I told everyone in the audience they’d be on my home page, and here they are. This is why I come to Japan. It’s a love fest!